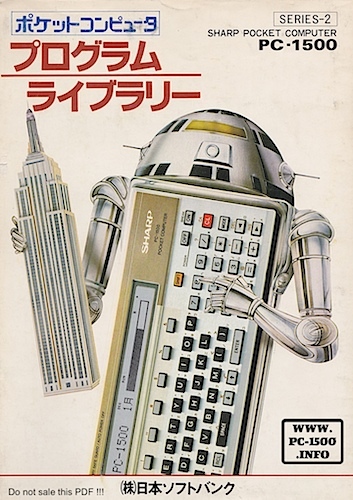 Gary, thanks for the picture ! 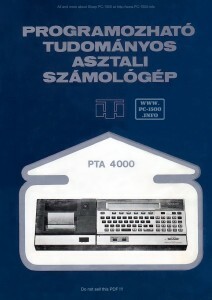 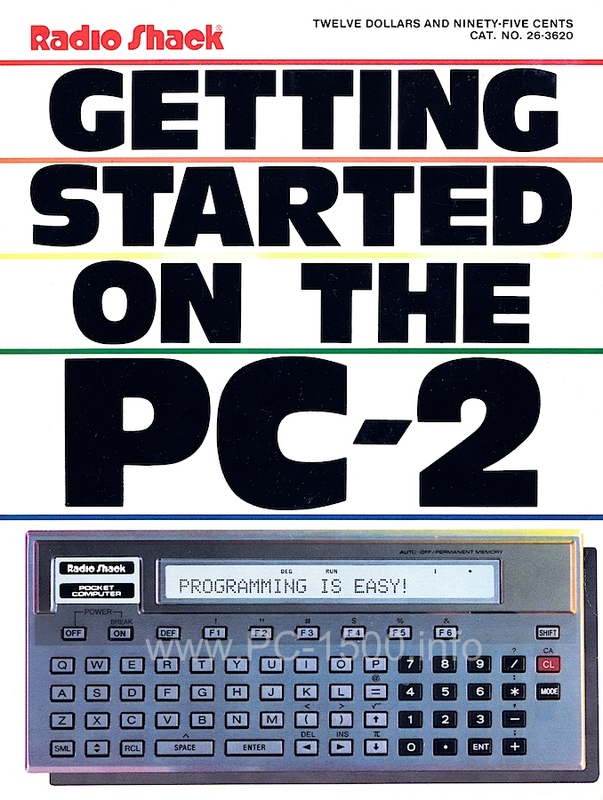 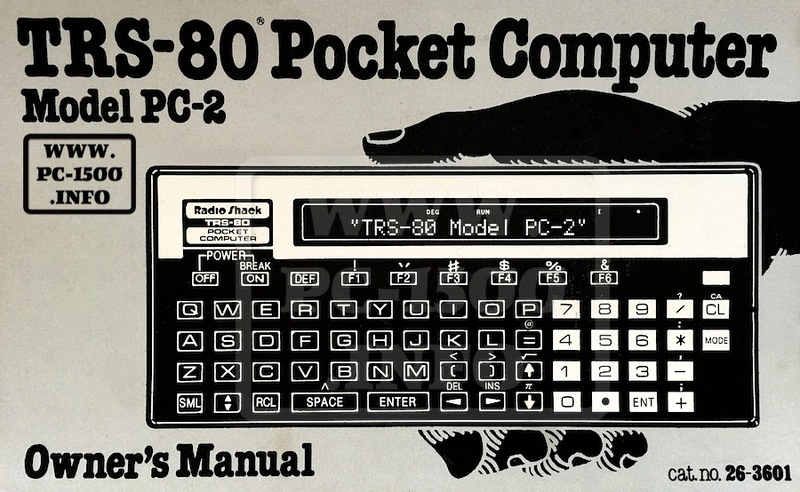 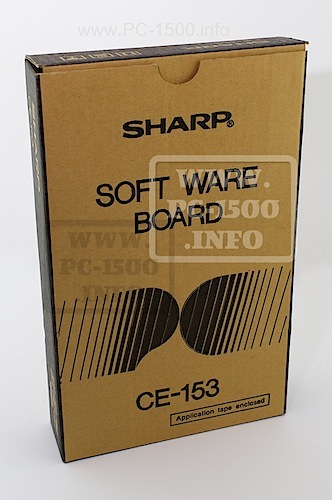 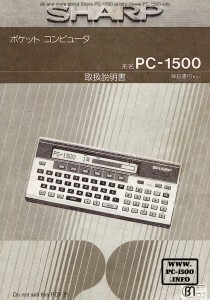 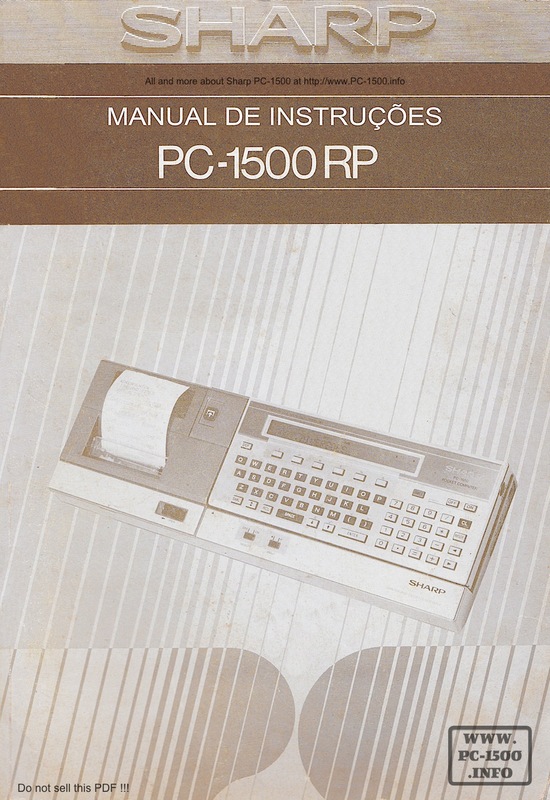 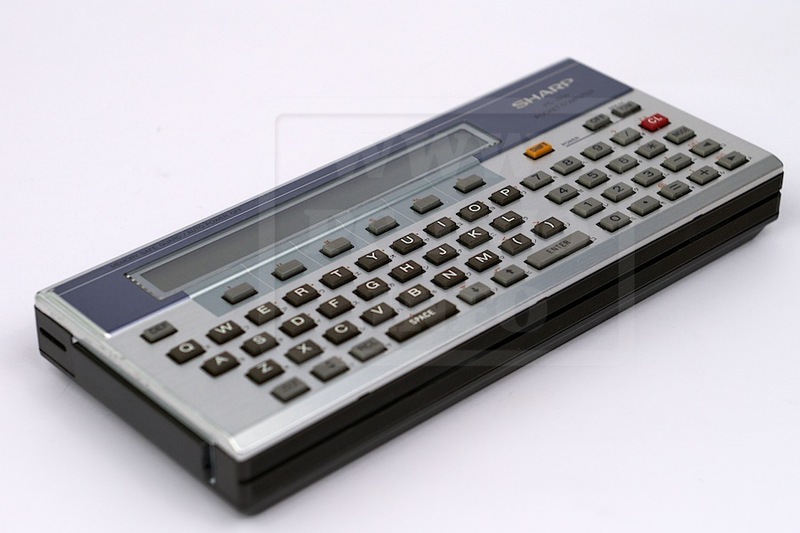 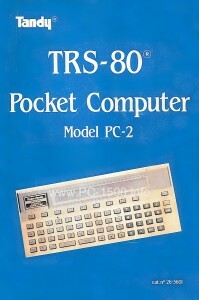 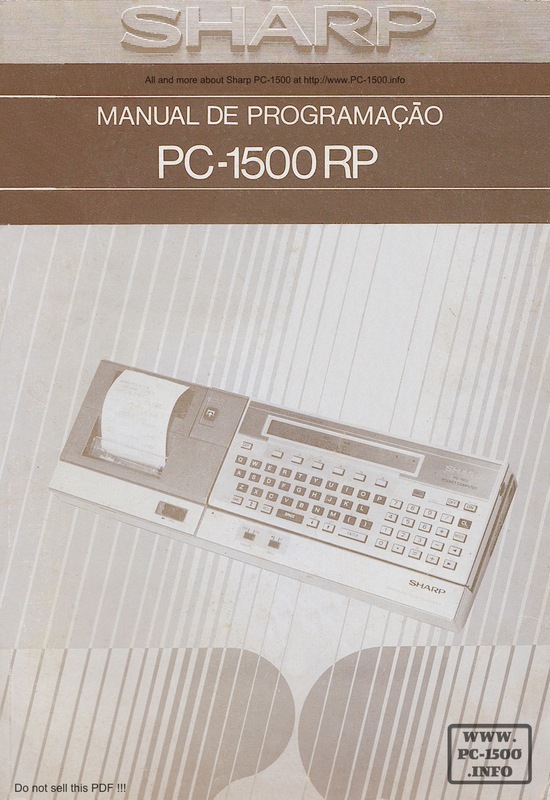 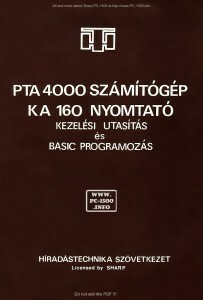 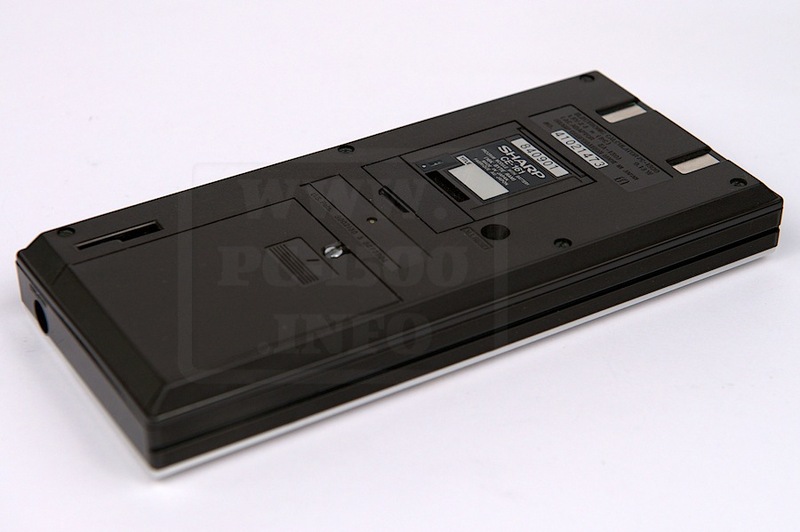 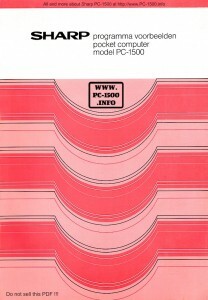 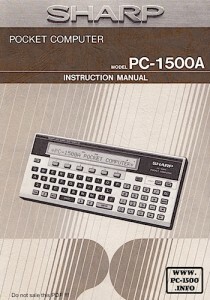 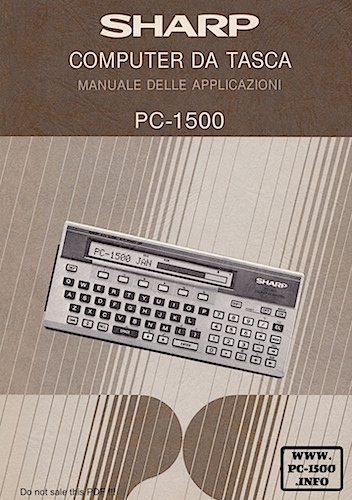 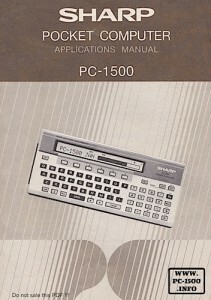 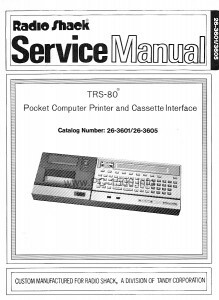 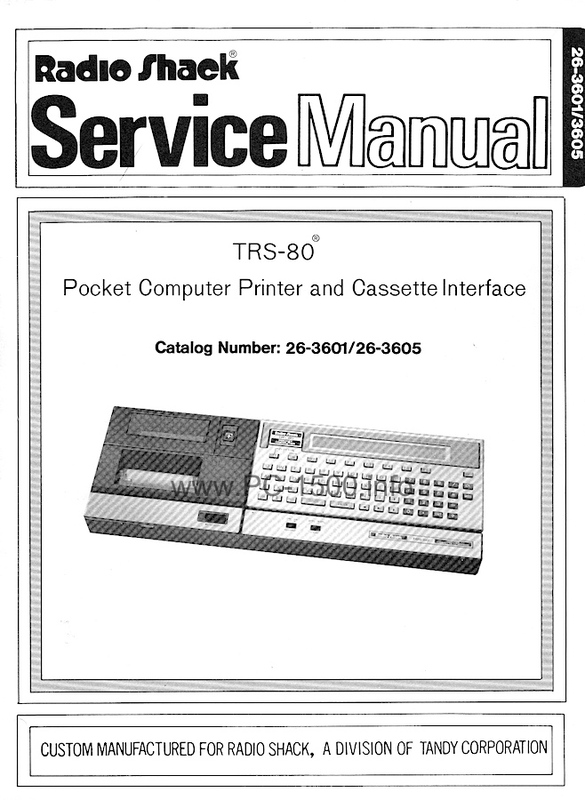 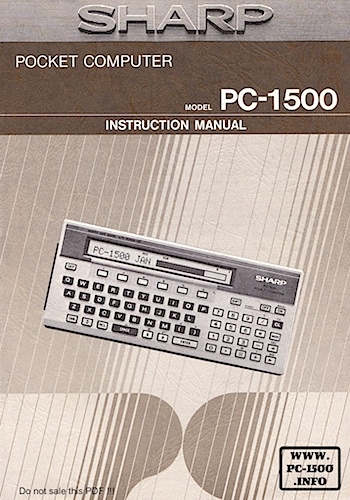 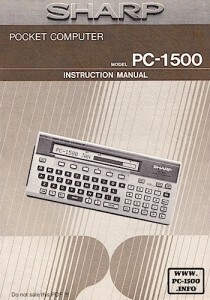 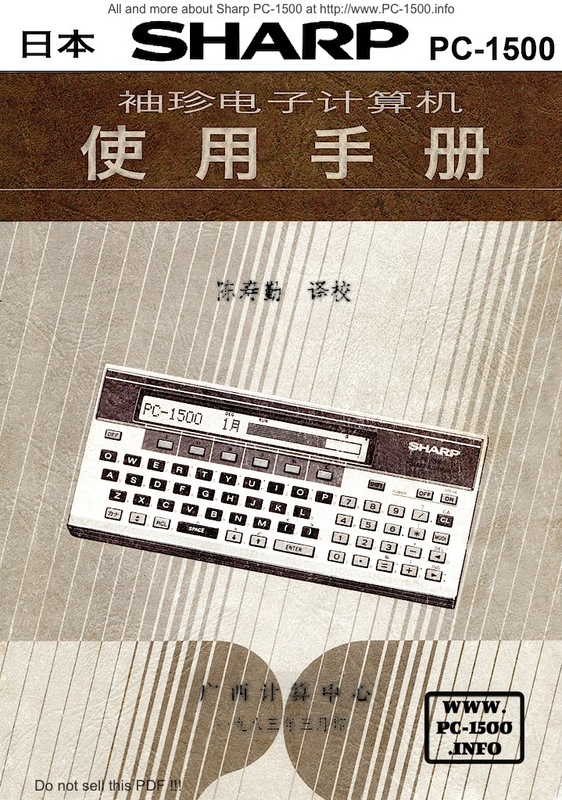 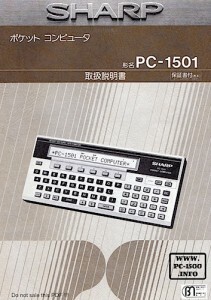 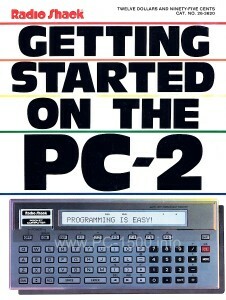 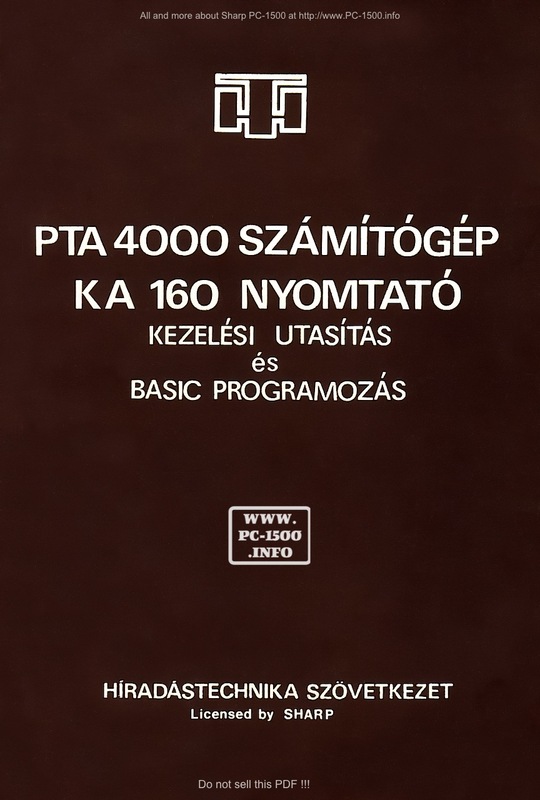 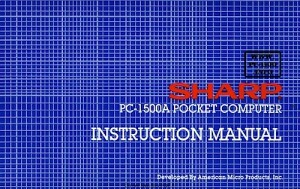 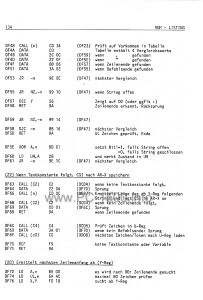 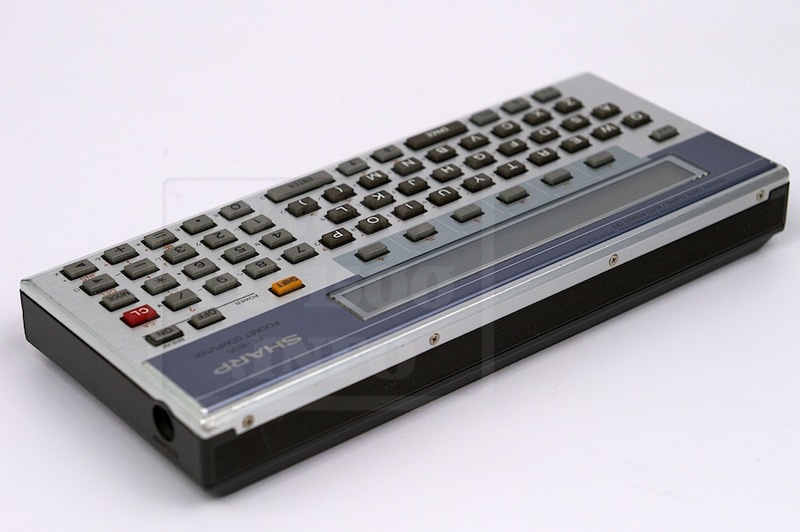 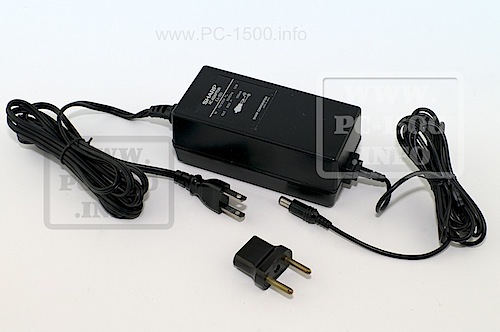 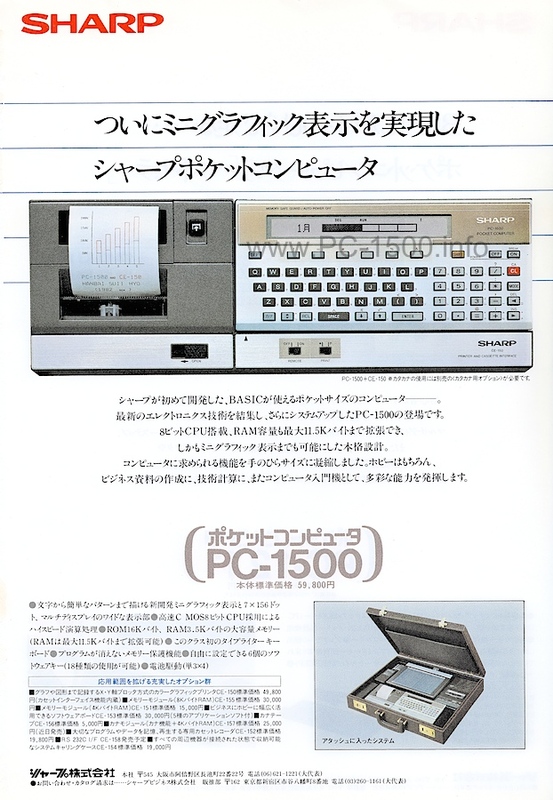 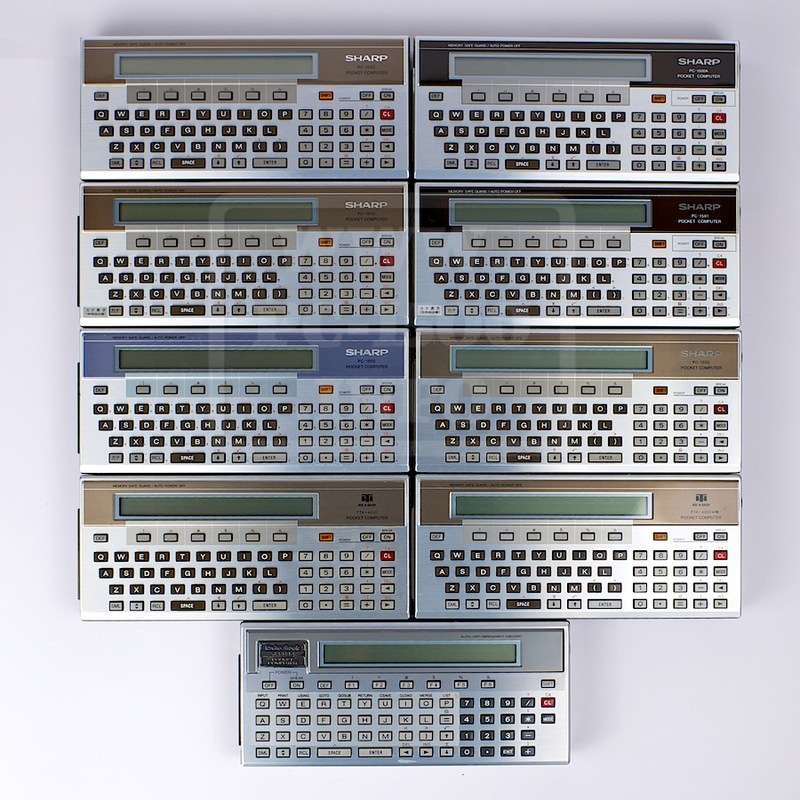 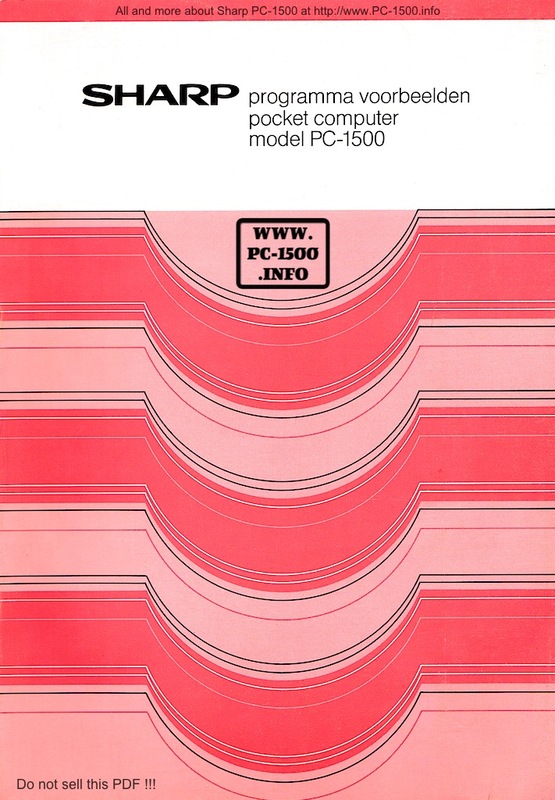 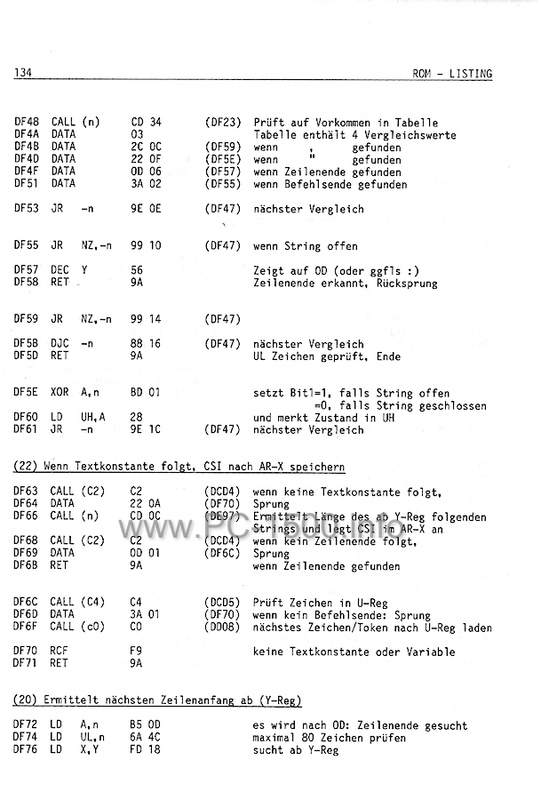 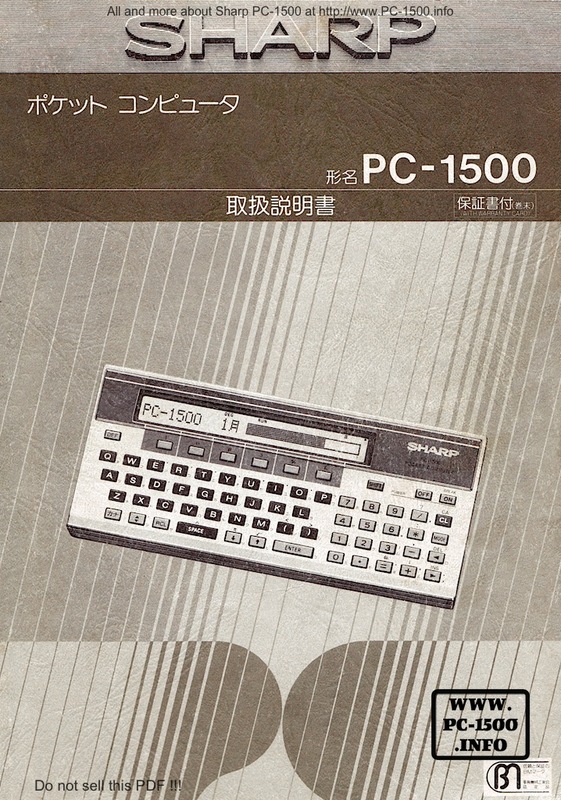 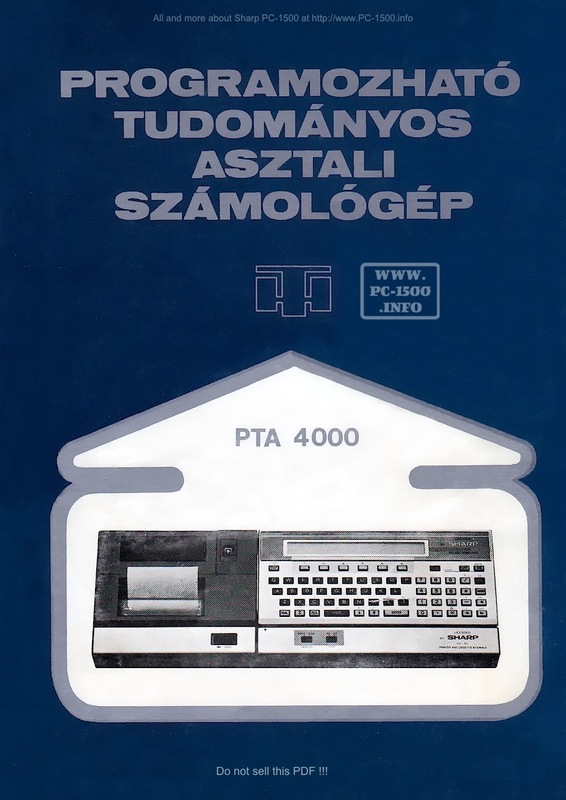 This entry was posted in Blog, Manuals and books, TRS-80 PC2 on 10/06/2014 by Rom1500. 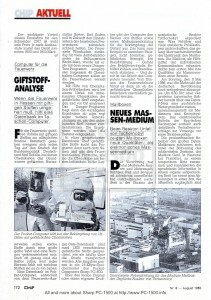 When the fire department in Hessen has to deal with toxic materials, helps a database in computer computer. 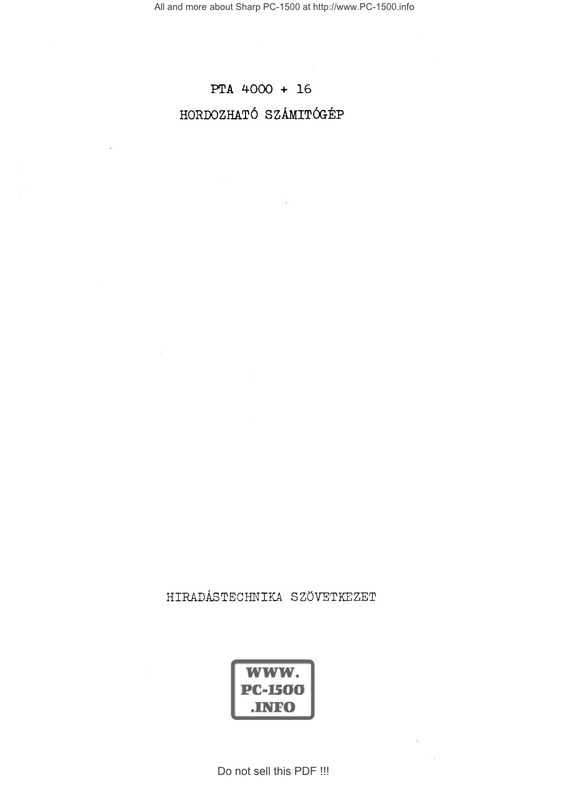 For the firefighter accidents include toxic materials for everyday routine. 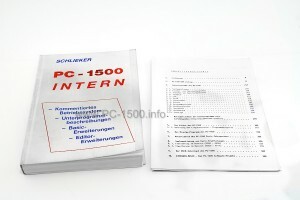 statistically occur every day on the streets of the federal republic of Germany five accidents in which endanger the groundwater chemical. 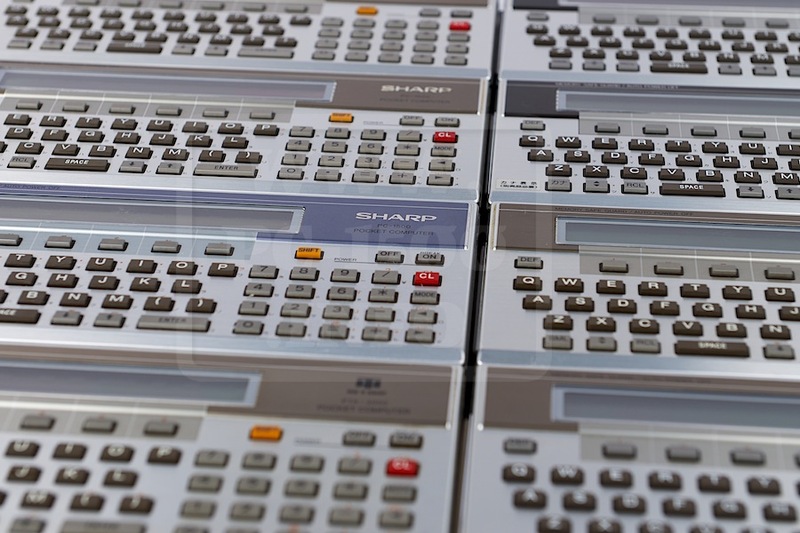 In a stored database about hazardous materials, the program then searches for the names and gives the firefighters notes as chemical best deal. 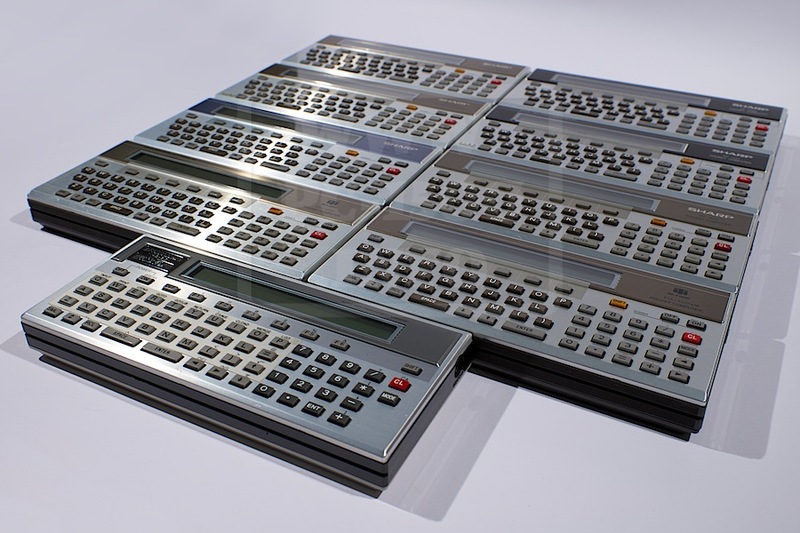 In the danger-data database are approximately 1,350 different hazardous materials stored, as they are often transported over the road. 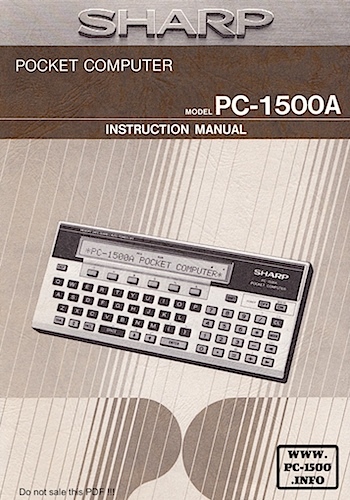 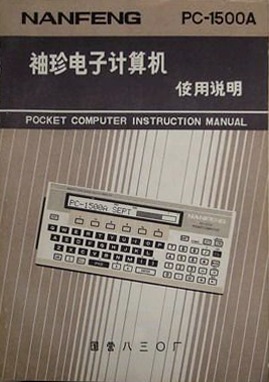 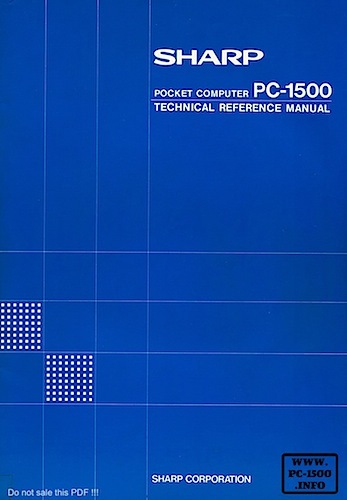 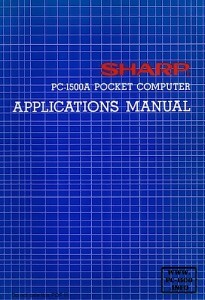 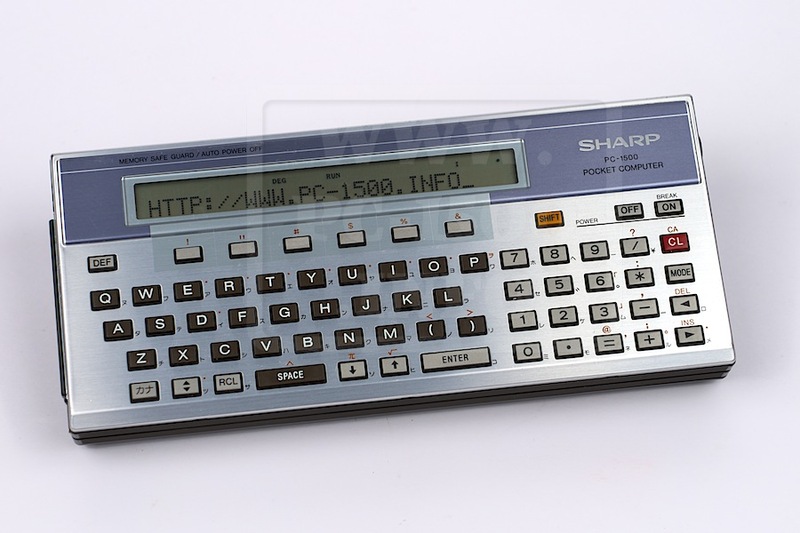 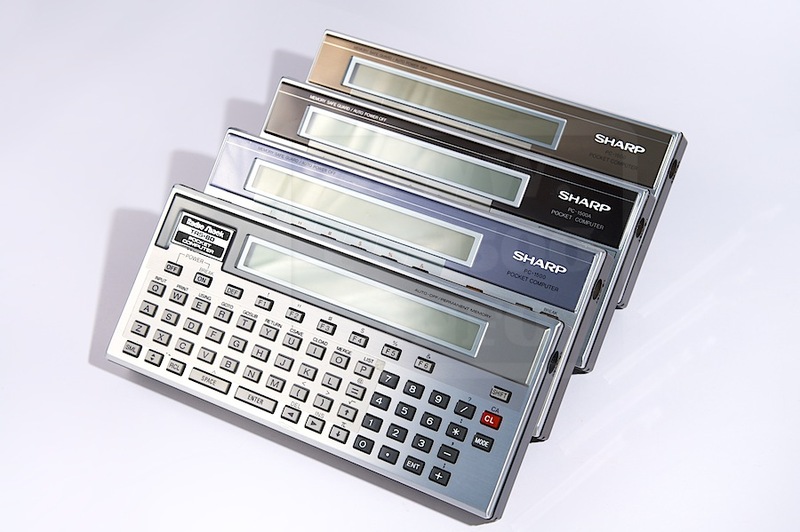 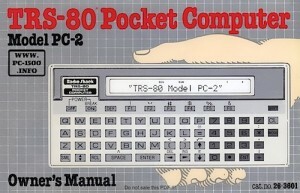 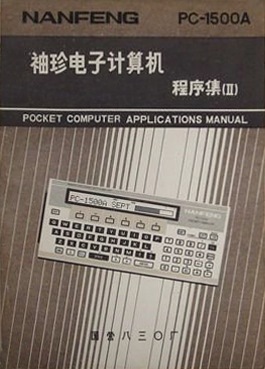 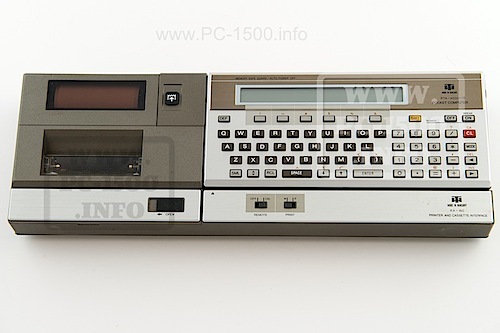 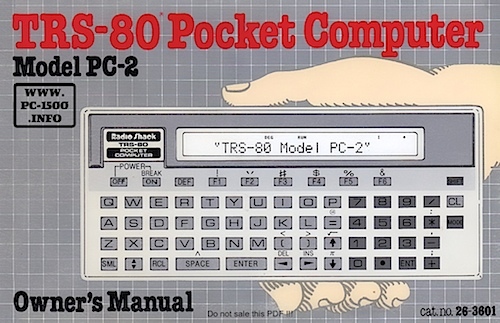 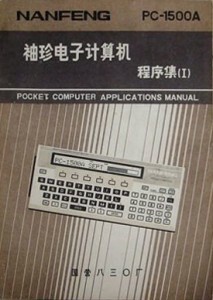 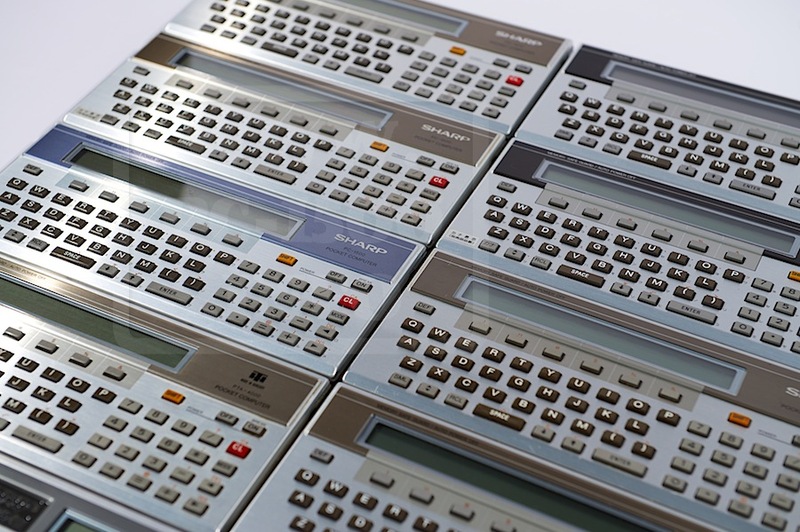 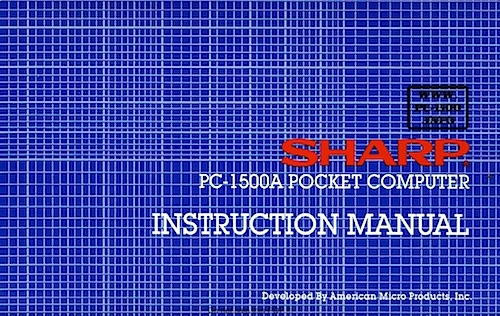 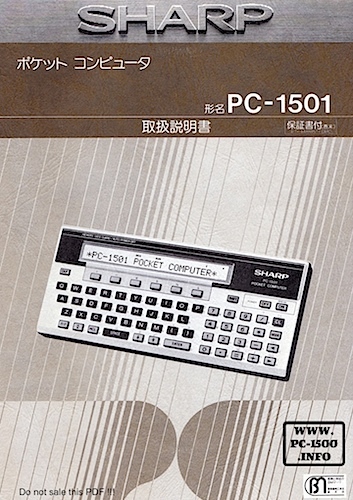 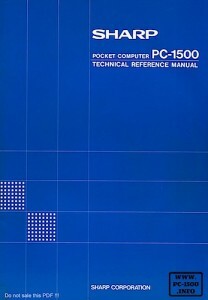 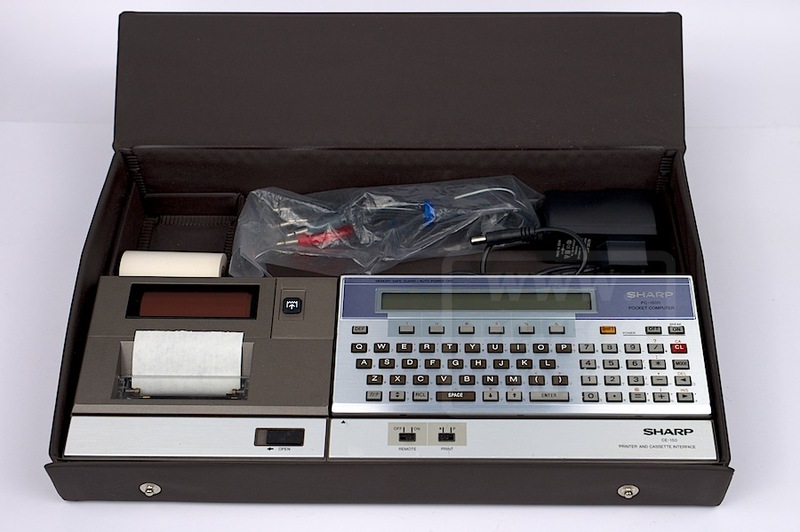 All disclosures fit into a 16KB memory module of the pocket computer PC-1500. 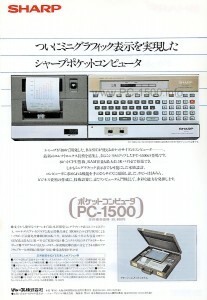 About the small display or a separate printer gives the computer the name of the substance as well as a catalog of measures for the fight against the danger of. 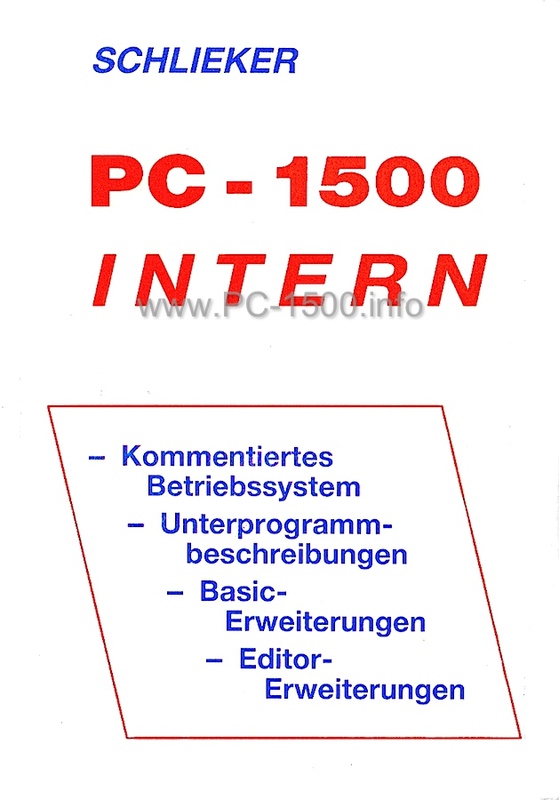 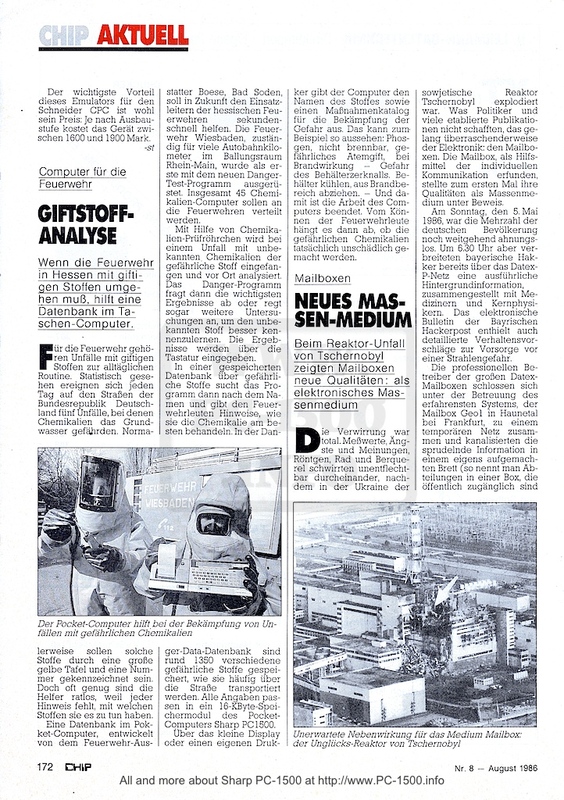 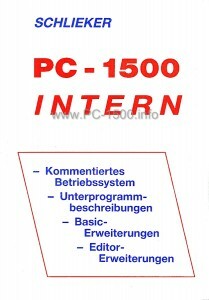 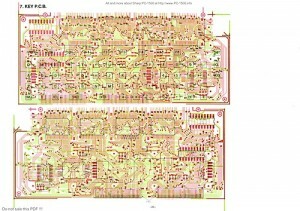 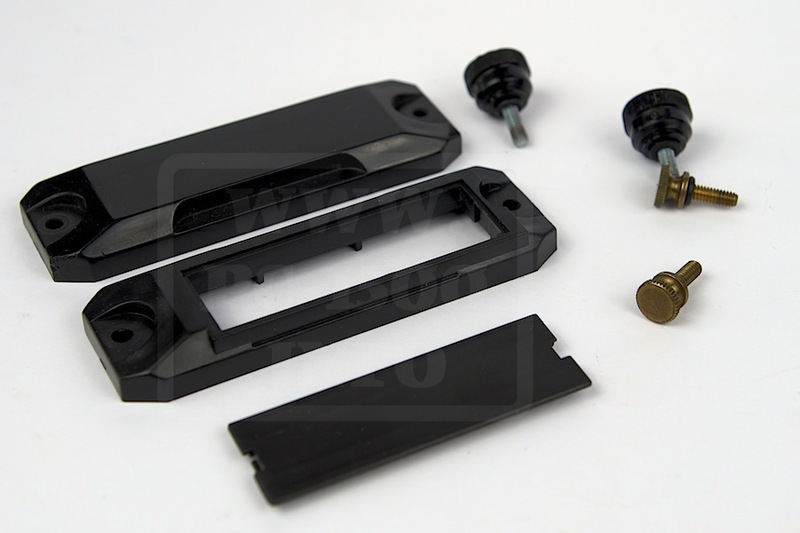 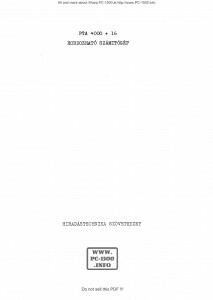 This entry was posted in 1-Pocket computers, Blog and tagged Advert, Application, german, Hardware, Industrial, Software, Toxic on 07/11/2014 by Rom1500.